And it is NOT called the Velite. Other rumors were wrong, like a new "more Buick like" grille. Or the 2.0 Liter engine. Even the engine is the same. We are getting the smaller 1.6 Liter with 200hp. Which, as far as I know, hasn't been available in the US so far. 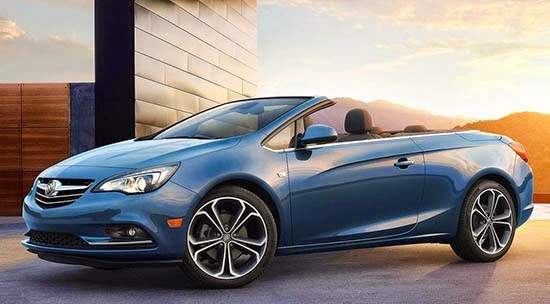 Now more than ever, Buick=Opel. No matter what, I think this is a great looking car. Let's hope they don't price sit too high. The bad/weird news: is is still a year away! As the on sale date is listed as "early 2016". Why??? Since it is sit exact same car that has been on sale in Europe for almost 2 years. This "Buick" still has an Opel emblem on the front end. I don't know about the grill, but you can bet it won't be there when these hit dealer lots. Now imagine for a moment if Lexus was unveiling cars with Toyota emblems--press releases and all. What would it say about their brand, or Toyota as a manufacturer? Or the car itself? In this case I think it says a lot about Buick, General Motors, and their offerings; none of which are exactly positive, IMHO. The 2nd and 3rd pictures are the Opel version. Which I posted so people could see how similar both models are. My apologies, Vince, I went to GM media, downloaded the full-size pics, and can see that there actually is a tri-shield on that grill. I've been critical of the Buick "waterfall grill" for a while; wild to think that they're actually changing it. Vince - As an automotive journalist, you should already know that the federal certification process for safety and EPA ratings doesn't happen overnight. This is the reason it will take a year before the car is introduced in the U.S. Does this make sense? 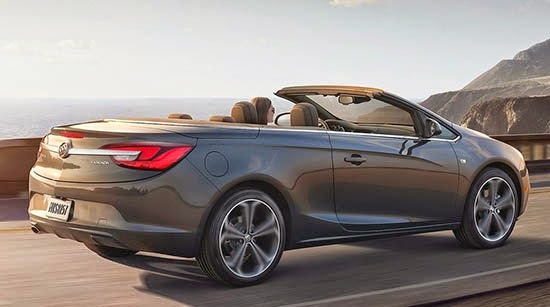 I think this looks great, and really helps with the convertible segment, a real VW EOS killer, in my opinion. As for the waterfall grille that the Enclave and Lacrosse have, I miss it; however, if they are just trasfering it straight from Europe, they have followed Alan Mulally, of FORD, in making the bodies universal, only name changes. Tiny tiny 2-1/2 passenger convertibles are a dime a dozen. Why not make a hardtop convertIble with enough back seat room to be useful as a day-to-day 2nd car? (instead of a weekend-only golf cart with barely enough room for 2 medium-sized orientals and 2 sets of clubs??? THIS IS AMERICA FOOLS! THINK BIG!!! It's attractive, but I don't understand why GM didn't give it a proper Buick grille. A nice addition to the Buick lineup, although it will be a niche seller at best.